Particle Count for all particles from 4 to 100 ?m. Additional ‘non-metallic’ particle count & distribution for all particles >20 microns. Highest saturation limit, up to 5,000,000 particles/ml with a coincidence error <2%. 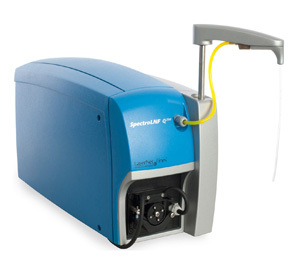 Images through dark fluids containing up to 2% soot with automatic laser gain control. Error corrections for water and air bubbles. Particle counts and codes per ISO 4406,NAV 1638, NAVAIR 01-1A-17, SAE AS 4059, GOST, ASTM D6786, HAL, and User defined bins.